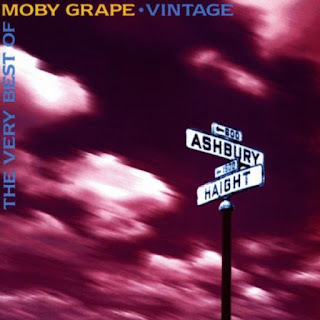 While what passes for Rock now abandons its whizz-tech brave modern faith in novelty, and instead rearranges the hand-me-downs of the past – Moby Grape were once capable of stimulating more kinds of mucous secretions five times faster than any other leading Bay Area band. They were San Francisco, but while they had too much song-centred Pop-sensibility to be truly hippie, they nevertheless turned that Beat-life into myth, then encapsulated it onto record. Moby Grape could chew on razor blades, with solos as thick as liquorice, yet never exceeding precise singles-length play-times. And if their legacy is this forty-six-track span of cold Kool-Aid, warm jams and live wires, with the Byrds or the Airplane as the spectres who haunt the album, then there’s still plenty here for artful style-plunder by latter-day audio inadequates. The Grape were always capable of surprise. They still are, even taken track by track. “Just Like Gene Autry: A Foxtrot” from ‘Wow’ (1968), the playful closing track on side one of their second album, is a nostalgic 1920s style ‘celestial melody’ supposedly done live at the ‘Fandango Hotel’, and it was originally designed to be played at 78rpm! Here it’s normalised to whatever rpm CD’s go at – but it’s still got an engaging off-the-wallness that throws your most casual preconceptions. Singer-songwriter Alexander ‘Skip’ Spence hung out with the Grape between drumming for the aforesaid Jefferson Airplane’s ‘Takes Off’ (1966), and his subsequent cult solo work. 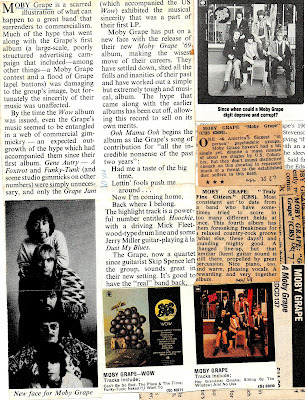 But Moby Grape was obsessively co-operative. A fluid five-piece boasting five front-men and interchangeable roles. Each group member gets to write at least one song for their first, and best album, which is here intact. 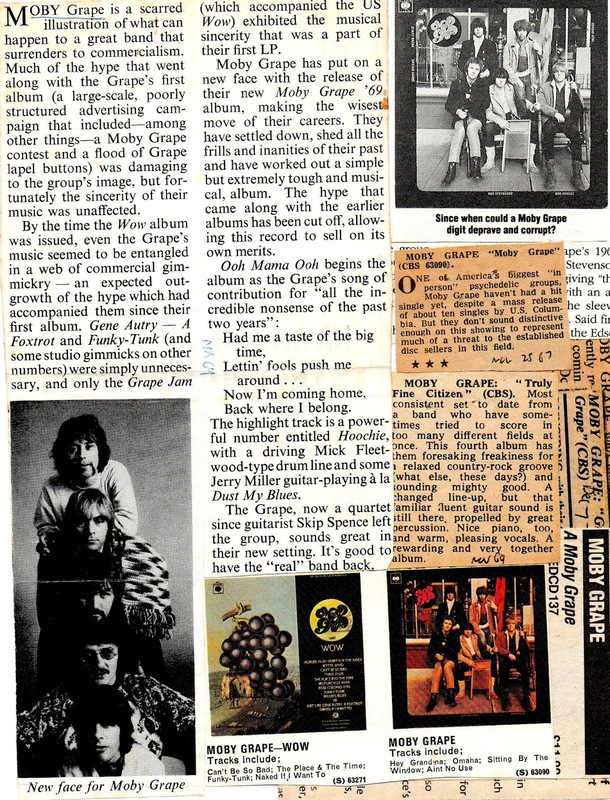 ‘Moby Grape’ (May 1967) was issued simultaneously as an LP – and also as five singles ‘A’s and ‘B’s. Even the sleeve – a straight personnel line-up shot, tells a tale. The Grape are grouped around a washboard, with Seattle-born drummer Don Stevenson holding the skiffle-instrument in a manner that makes it seem as though he’s inadvertently – or perhaps even advertently, ‘giving the finger’. 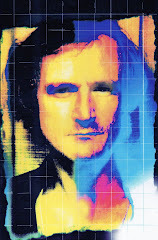 A morally outraged CBS recalled all copies of the first pressings so the rudely offending digit could be airbrushed out. With ‘Vintage: The Very Best Of…’, not only is everything returned to its rightful place, but there’s more too, with live and studio outtakes aplenty. There’s both the single AND the album edit of the high-energy whiplash-guitar “Hey Grandma”, ditto Spence’s intense-harmony “Omaha” with opening stereo phasing ripping left-right, plus a newly unleashed version of stand-out bass-and-percussive “Changes” – pronounced ‘Churngers’ by vocalist Peter Lewis, alongside its original incarnation. Diesel Park West did a cover of their 1:49-minute “Lazy Me (San Francisco)” on their twelve-inch vinyl EP ‘When the Hoodoo Comes’ (Food 12FOOD20, 1989). Here the Grape show how it should be done with the plaintive nervy-edge that only comes with raw first-taste invention. Subsequent Moby Grape albums are touched on more lightly, but can be even more eclectic. Stevenson’s “Murder In My Heart For The Judge” is a curiously-constructed song – hoarse verse, tongue-in-cheek chorus, later covered by Three Dog Night, with a storyline inspired by a drug bust. Then there’s lead guitarist Jerry Miller’s storming “Can’t Be So Bad” – first heard by many, including me, on the budget-price sampler ‘The Rock Machine Turns You On’ (CBS, 1968), punched home with solid horns. There are also two versions of Bob Mosley’s impassioned “Bitter Wind” taken both Folk-stark and full-group. All of which come from the more extreme and unpredictable ‘Wow’. 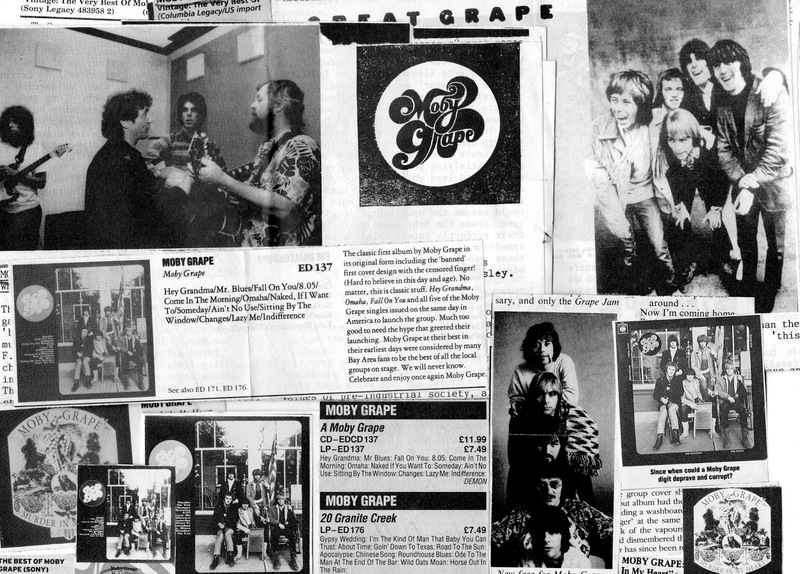 Next there’s the simplified ‘Moby Grape 69’ (1969) providing the reflective country-clear “It’s A Beautiful Day Today” with Spence’s absence leaving them a four-piece. And finally the title track from ‘Truly Fine Citizen’ (1969) – a last-gasp after bassist Mosley’s walk-out to join the Marine Corps had further reduced them to a trio. Never as important as Love or the Byrds, Moby Grape were nevertheless distinctively different from closer contemporaries such as Quicksilver Messenger Service or Buffalo Springfield, less instrumentally indulgent than the former, funkier than the latter, and mercifully unclogged by the milieu’s pretentions. Like they sing on Miller-Stevenson’s easy-rocking “Ooh Mama Ooh” from ‘Moby Grape 69’ they ‘had me a taste of the Big Time, lettin’ fools push me around… Now I’m coming home, back where I belong.’ This is a fun homecoming from a time when novelty and newness could still be exciting.